Our vision of creating a pedestrian-friendly streetscape and roadway improvements in a newly revitalized Town Center reached two recent milestones. The State of CT DOT has approved the bid package and it was advertised in the News-Times, the Town’s website and the State Contracting portal. The Town held a mandatory pre-bid meeting for interested contractors on April 25th which 12 companies attended. Bids are due May 12th. Phase 1 of the Streetscape construction will begin in June and is scheduled to be completed by the end of 2017. The Town has received formal confirmation from CT DOT that the TAP grant application for Phase 2 has been approved, with funding increased from $475,000 to $865,000, a huge win! This funding along with a Town match of $475,000 fully funds Phase 2. Brookfield is the first Town in CT to have its TAP grant approved. The RFP to begin engineering design work will be issued in early May 2017. Construction target date is 2019. Brookfield Village, buildings one and four are moving along nicely, with completion due this fall. Residential and commercial tenants will begin to occupy the buildings soon afterwards. Brookfield Village Phase 2 includes buildings two and three, where old Mother Earth and Subway buildings are located, will begin construction after Phase 1 is completed. Brookfield Town Center is experiencing increased interest from developers. Property owners are looking to enhance their structures, vacant commercial land is on the market for sale and business owners are gathering together to create a business association to strengthen the business district. 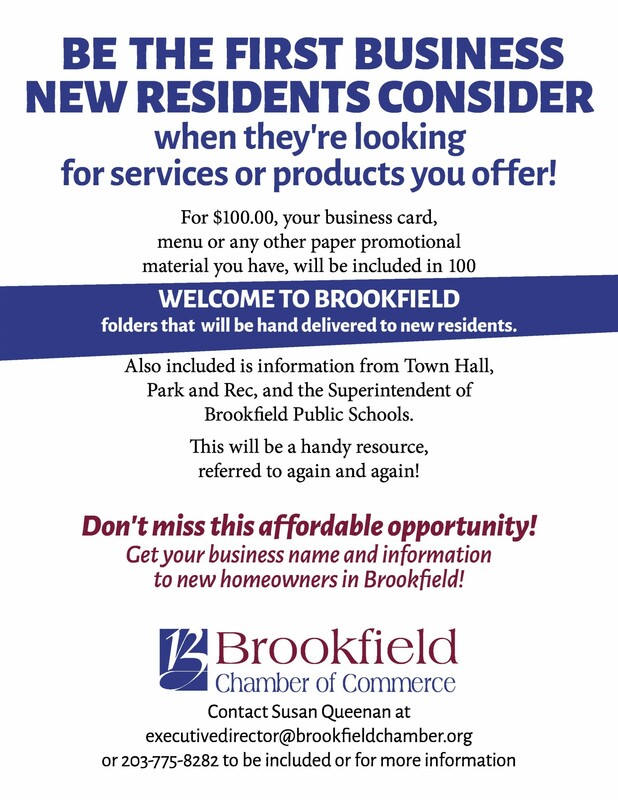 This is a great time for Brookfield! As always, any questions about The Town Center revitalization development, you can contact Greg Dembowski, Project Manager @ 203-740-3865, GDembowski@brookfieldct.gov or Betsy Paynter, Economic & Community Development Manager @ 203-775-5235, bpaynter@brookfieldct.gov.